ALL ABOUT CEIL: An Early Christmas Treat. It was an early Christmas treat by the Burpple team in their recent gave away for Christmas on facebook. 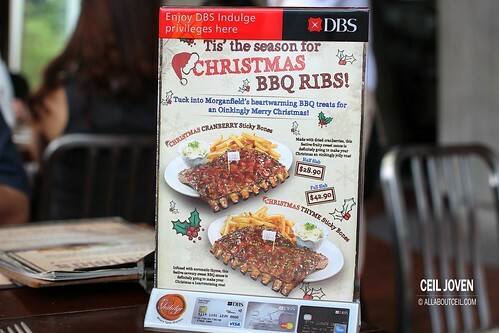 I was amongst the few lucky winners to win a full slab of the Christmas edition Smoked BBQ Pork Ribs ($42.90++). I was there with my lunch partner at about 2 pm. The given letter was presented to the waitress at the door. She then requested us to wait a bit while she shown the letter to her manager. She re-appeared and asked us to take a seat and wait a little longer as they were in the process of clearing some tables. We were then led to a table for 2. The assistant brought another chair and placed it at our table just for me to place my bag. We were given the choice of Christmas Cranberry Sticky Bone or Christmas Thyme Sticky Bone. We decided to go with the Christmas Thyme Sticky Bone. 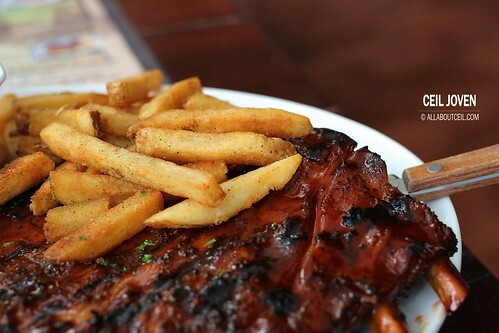 It is supposed to be infused with thyme and marinated in BBQ sauce to give it the desired flavor. 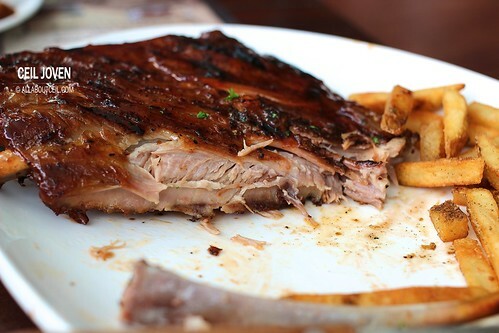 The pork ribs were slow-cooked through steaming then smoked grilled to give it the perfect taste and texture. 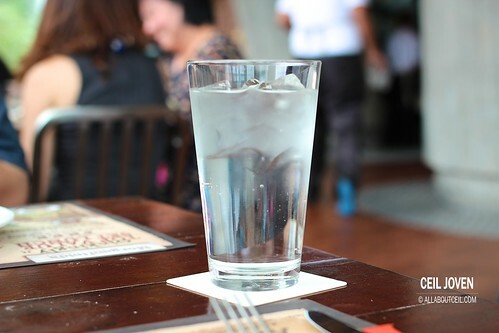 The waitress then quickly served 2 glasses of iced water upon request after we placed the order. We waited for about 15 minutes before it was served. A full slab of Christmas Thyme Sticky Bone served with a small portion of fries and coleslaw in a small bowl. This was my second time having the pork ribs. The texture was as good as the first time. It was done perfectly to an amazing softness to allow the meat to pull away from the bone effortlessly. The BBQ taste was slightly stronger so the thyme infused flavor did not seem too distinctive. 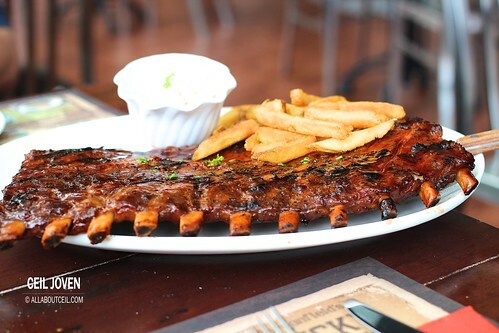 A full slab of pork ribs is just nice to be shared amongst 2 pax. I wish there is a bigger serving of coleslaw to be shared. The portion of it given is enough just for a person. 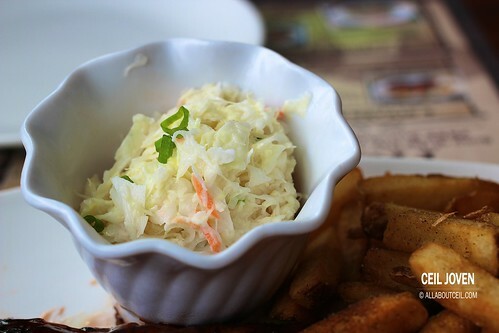 The coleslaw was nicely done to give it a refreshing feel and it is a good balance to the overall heaviness of the meal. The fries came in small serving too and not quite enough to be shared amongst 2 pax. The restaurant was quite empty when we done eating. There was a bit of confusion when we asked whether are we required to make any payment. 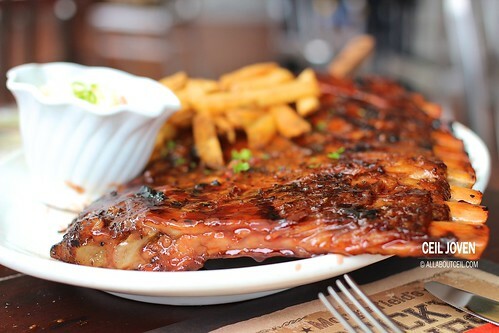 A check was presented with the full amount charged for a full slab of pork ribs inclusive of service charge and GST. 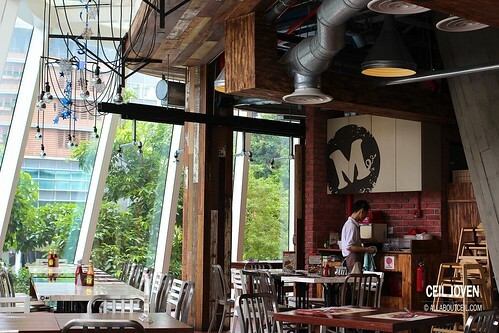 We mentioned that a letter was given earlier and requested the waitress to check again. The same waitress that took our order came by in a bit to inform us that we are not required to make any payment. The service was a bit laid back and not as attentive as compared to my first visit there. 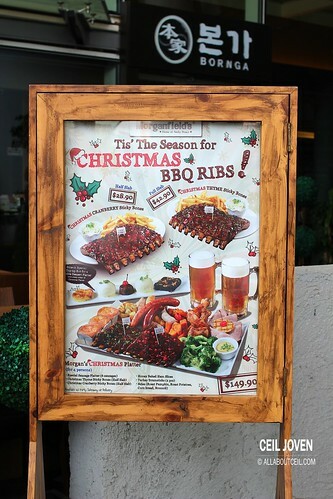 Wonder what to eat for Christmas or New Year? This might be a good choice. 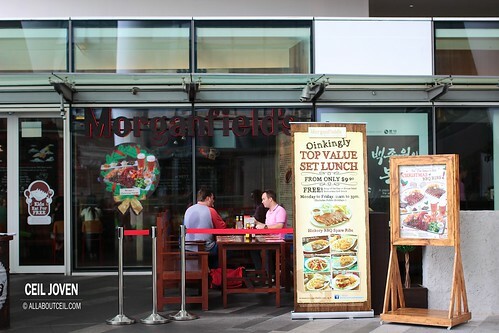 Their ongoing lunch promotion from $9.90 onward with Soup / Appetizer and choices of Mains together with bottomless soft drinks or iced lemon tea. Tempting? Yeah! 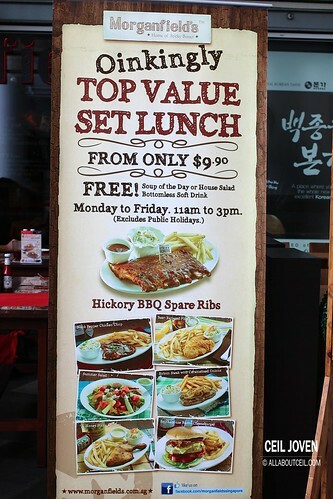 I am tempted enough to go back someday for their lunch promotion. 1 Vista Exchange Green #02-23 The Star Vista SINGAPORE 138617.